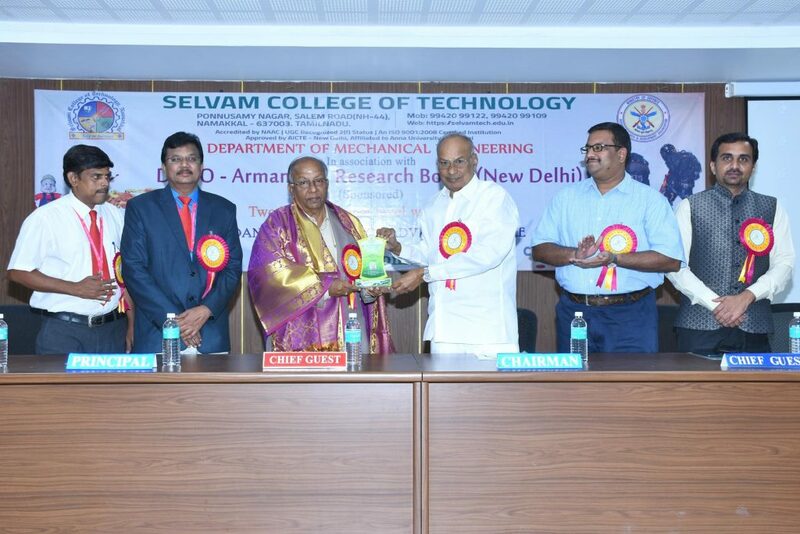 Team up to execute difficult tasks, you will never lose, said Dr. K. Viswanathan, Former Deputy Director, Satish dhawan space center, Indian Space Research Organisation (ISRO), while delivering the inaugural address at the DRDO – ARMREB sponsored two days national level workshop on “Fire Retardant Composites for Advanced Vehicle Armor”, organized by the department of mechanical engineering, Selvam College of Technology, Namakkal. 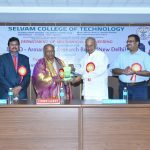 The Great event was felicitated by Chairman, Selvam Group of Institutions Dr. P. Selvaraj, Secretary Dr. B. Kaviethra Nandhini Babu, Principal Dr. A. Natarajan, Director Research Dr. R. Sasikumar and S. Arumugam, Head of Mechanical department in the CDC Convention Lobby, Selvam College of Technology, Namakkal on 27th and 28th 2019. Followed by Inauguration Dr. K. Viswanathan, visited the project exhibition arranged by the UG students and had an effective student interaction. 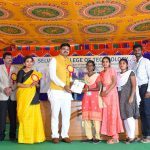 He appreciated the students for their innovative ideas and gave his valuable suggestions to the young student community. Experts and scientists from various reputed institutions and research laboratories, Dr. S. Anandhan, Professor & Head, Metallurgical and Materials Engineering, National Institute of Technology – Karnataka, Dr. Mohan Kumar Pitchan, Scientist – Composite Division, Department of Aerospace Engineering, Amrita Vishwa Vidyapeetham, Coimbatore, Dr. Mukesh Kumar Singh, Research Scientist – ACRD, Department of Aerospace Engineering, Amrita Vishwa Vidyapeetham, Coimbatore and Dr. S.C. Murugavel Professor & Head, Department of Applied Science, PSG College of Technology, Coimbatore were shared their knowledge on fabrication and characterization of fire retardant polymer composites, fire retardant fillers and additives and various flame retardant coatings among students, research scholars, Industrialists and faculties from various institutions around Tamilnadu. 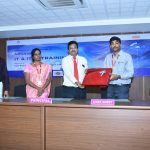 Totally 125 internal and external participants benefited from the workshop. 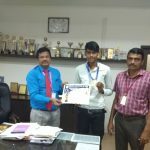 In the valedictory function certificates issued for all the participants and Mr. S. Prakash, Assistant Professor Mechanical department thanked all the participants and guests. Introduction and fire retardant fillers/additives suitable for Polymer Composites. Fabrication of Polymer Matrix Composite methods. Preparation methods of Fire Retardant Composites. Characterization of Fire retardant Composites. 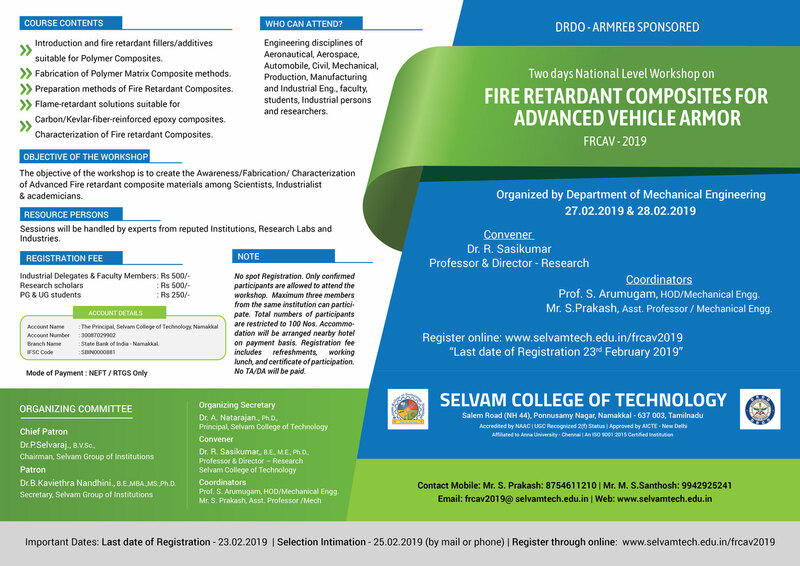 The objective of the workshop is to create the Awareness/Fabrication/ Characterization of Advanced Fire retardant composite materials among Scientists, Industrialist & academicians. Previous Previous post: 13th Annual Day Celebrations.